Senior Patent Specialist of Carey’s Intellectual Property and Information Technology Group. He specializes in advising companies and entrepreneurs in the design and implementation of intellectual property strategies, and also in technical aspects, providing expert advice on protection through patent rights. 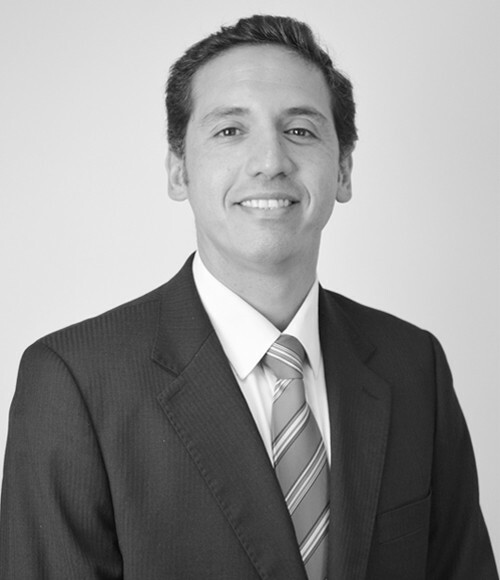 His work also includes operational aspects, such as the management of processes to meet the patenting process requirements of the Chilean Institute of Industrial Property (INAPI) and before various authorities in this field around the world. An important global telecommunications company on the management of its patents portfolio in Chile. A national company leader in innovation on the composition of its patents portfolio. A national company in the industrial field on the design and implementation of an intellectual property and patents strategy. A local company specializing in consultancies of industrial property matters on its merger process with another firm. Member and former Director of Licensing Executives Society, LES Chile. Mechanical Civil Engineer, Universidad de Chile (1998). Master in Strategic Planning and Company Management, Universidad de Chile (2005). International Training Program in Technology Transfer, National Institute of Health, Office of the President, University of California (USA) (2007).